Author Sharon Weinberger provides a definitive history of an agency that has quietly shaped war and technology for nearly 60 years. She interviewed more than one hundred former Pentagon officials and scientists involved in the Defense Advanced Research Projects Agency’s (DARPA) activities, many of whom have never spoken publicly about their work. She also examined countless declassified records from archives around the country, documents obtained under the Freedom of Information Act. The result is a compelling, authoritative, and previously untold story. 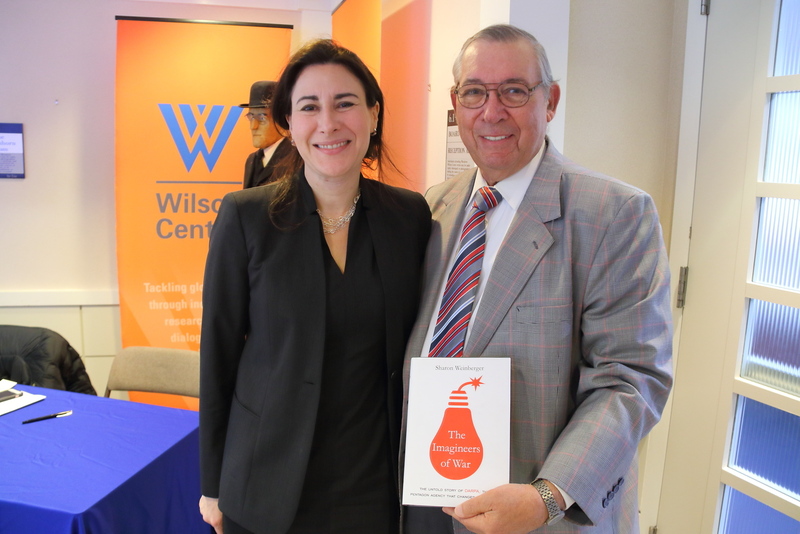 A conversation about the book took place at a March 21, 2017 at the Wilson Center. Among those in attendance were the two longest serving directors in DARPA’s history, Dr. Steve J. Lukasik (1970 – 1975) and Dr. Anthony J. Tether (2001 – 2009). 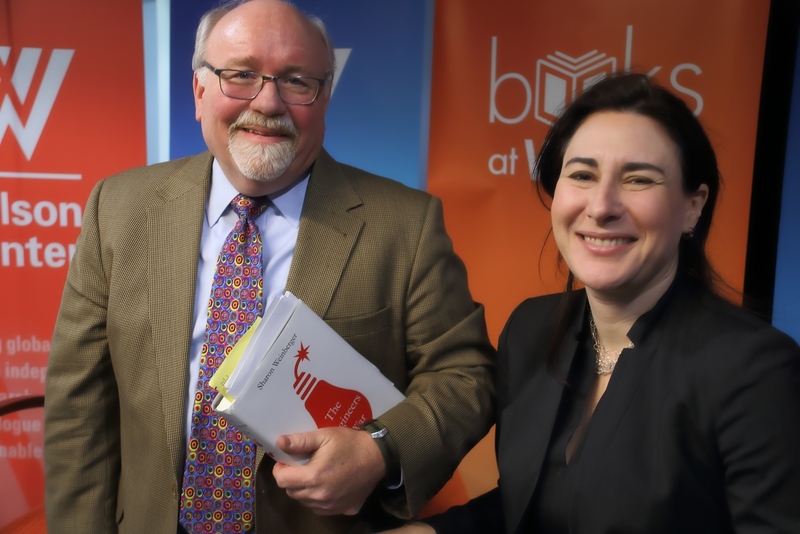 Following the book launch, Wilson Center NOW host and managing editor John Milewski spoke with Sharon Weinberger about her book and the just completed discussion. MILEWSKI – While researching and writing the book, did anything emerge that surprised you? WEINBERGER – Two things surprised me. One was the wealth of declassified materials. In my first trip to the National Archives I thought there was going to be very little. And then lo and behold there were hundreds of boxes of declassified materials. It was a gold mine. The second surprise was the story the documents told… how important Vietnam was for DARPA’s experience and what it became. MILEWSKI – Is there still a role for this agency? WEINBERGER – Definitely. DARPA does wonderful science and technology today and supports very good projects. But I think where it doesn’t play the role it once played is in being important for national security and for solving national level problems. That has sort of faded into the background of its mission. It’s a great loss for the country and for DARPA. MILEWSKI – You got quite a surprise today when two former DARPA Directors, the two longest serving, showed up at today’s event. WEINBERGER – That was a surprise. And they’re also two directors who were, in their own ways, extremely important for DARPA and its role. Steve Lukasik was a key person assisting me with the book and giving me hours and hours and hours of his time. And Tony Tether was quite skeptical, and I think understandably skeptical, of my approach because of my past work and declined to give me an interview. What I wanted to do, regardless of whether or not someone gave me an interview, was to portray their role and their importance properly. There are many important directors of DARPA, but I think it’s arguable that Steve and Tony are two of the most important. And to have one who was quite supportive of the book, even knowing that it might have been critical of him, and one who had declined to participate but was still interested in what I had to say --- that’s what you hope for --- when even the critics want to be engaged because you’ve added to the history and done so objectively. So that was very wonderful for me. MILEWSKI – What can you tell us about the experience of writing the book here at the Wilson Center? 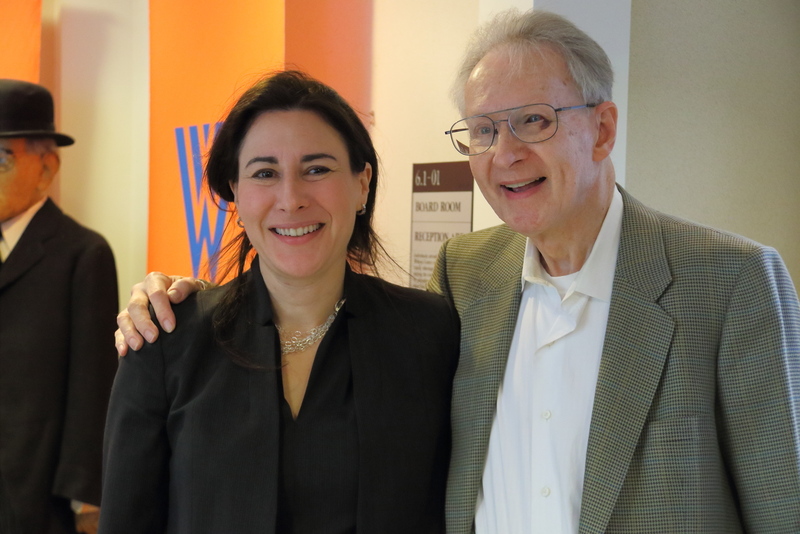 WEINBERGER – The book would not exist today without the Wilson Center. I had been thinking about doing a DARPA book for more than 10 years. It was a question of time and resources and also the belief that I had something to say. Once the Wilson Center gave me nine months and believed I could do this and that it was important and worthwhile… that’s why the book would not exist without the Center. It’s invaluable not only because of time and resources, but also because of the scholarly community and their belief that these projects are important… it makes you believe that they’re important. In The Imagineers of War, Weinberger gives us a definitive history of the agency that has quietly shaped war and technology for nearly 60 years. Founded in 1958 in response to the launch of Sputnik, DARPA's original mission was to create “the unimagined weapons of the future.” Over the decades, DARPA has been responsible for countless inventions and technologies that extend well beyond military technology.